What is cloud storage? You’ve probably heard a lot lately about this concept, in which electronic data is stored in “the cloud” rather than on a physical hard drive or computer. If you use services like YouTube, Gmail, or Flickr, you’re already using cloud storage. In basic terms, it simply means storing information to the web and downloading it when you need access. Read on to learn more about how cloud storage works and whether you should take advantage of this exciting technology. In simplest terms, cloud storage means that your data is uploaded from your computer onto a cloud storage system, which is a server or set of servers that stores the information. Cloud storage systems rely on redundancy, which means that the same data is stored on many, many servers. This is necessary to ensure that customers using the cloud can access the data at anytime, even if one or more servers malfunctions. Most individual users utilize public cloud storage, in which your data is stored in a much larger cloud service (Amazon.com or Google, for example). Private storage gives you space behind an organization’s firewall, which provides more security, access, and customization than a public cloud. 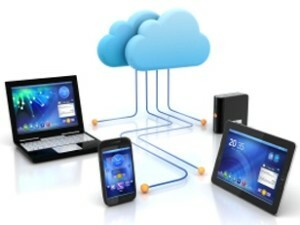 Hybrid cloud storage is a combination of the two models and is common for corporate and organizational use. The primary advantage of cloud storage is that you can access your data from anywhere in the world as long as you have an Internet connection. This is much more convenient than other methods of data storage like a USB drive, which can easily be lost or damaged. You can also set up cloud storage to automatically back up data from your computer, tablet, or smartphone, which means that you’ll never lose important documents. If you have a lot of data, storing it in the cloud is also typically less costly than other storage options. There are few disadvantages of cloud storage for the individual user; if you use a lot of bandwidth, your costs may be substantially higher than they would be for less cloud storage. In addition, you won’t be able to access your data if you can’t get Internet service. Users may be rightfully worried about the security of the information they store on the cloud. Most cloud storage providers require a unique username and password to access the desired data, such as your email account. Others may encrypt data that is stored in the cloud to keep it from being read by those without the encryption key, while some also allow access to only a specific list of authorized users. In addition to the measures taken by the storage company, you should also have a virus scanner on your own machine and change passwords regularly. If you want to learn more about what is cloud storage, compare providers, and learn about features you may want to take advantage of, PC Mag recently published a guide which is accessible on their website.